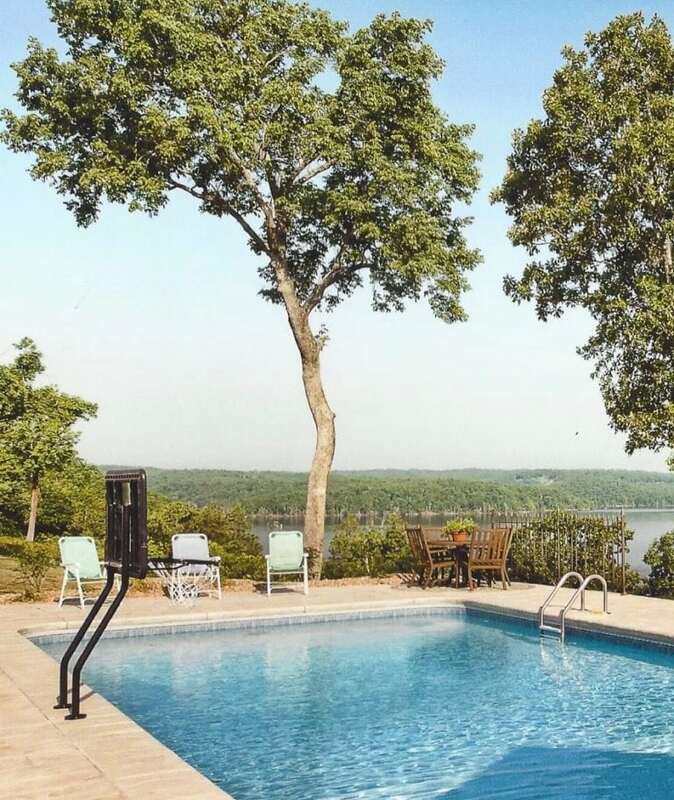 As a popular choice for decades, vinyl pools are a common selection when it comes to inground swimming pools in the United States. At Elite Pools by Aloha, we know that when you consider different options of swimming pools, various factors come into play. From style and look to the cost involved in the pool construction process, we want to help you achieve a result that you are happy with and that fits your needs. Our portfolio displays some beautiful examples to help you envision what your backyard could truly look like. Common misconceptions regarding vinyl pools revolve around look and construction. Contrary to what many believe, you can achieve the look of a concrete pool through a wide selection of liners designed to mimic the appearance of a textured pool interior, tile, and more! Our expert swimming pool designer will help you create a luxury, durable piece of work while keeping a budget-friendly price in mind. From underwater speakers, to a peaceful waterfall, we can turn your vinyl pool into an outdoor retreat. 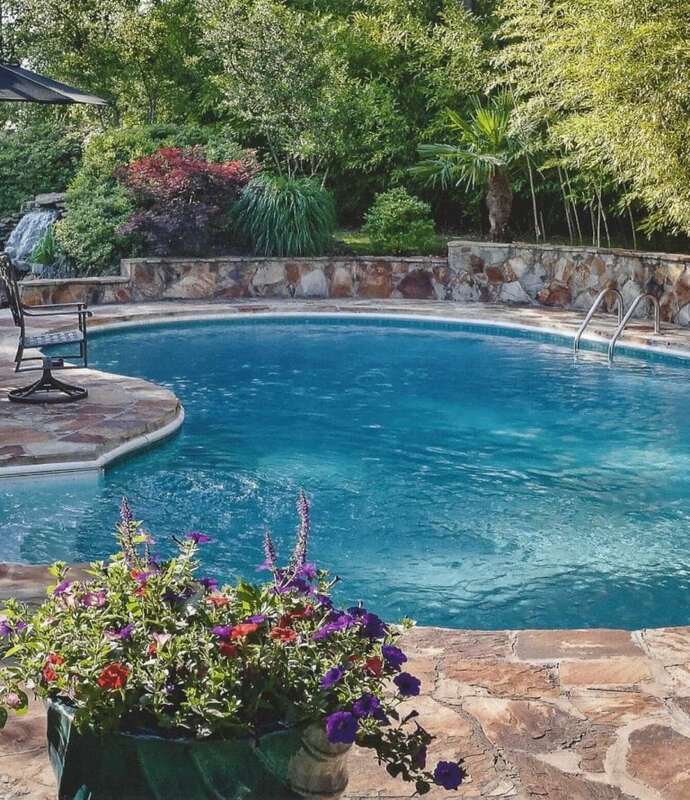 Elite Pools by Aloha is known in the Little Rock area for our commitment to providing you trustworthy, high-quality work. Many people can build a beautiful, luxury pool. However, we strive to create a piece that will stand the test of time. Vinyl pools are an attractive choice among buyers due to the price and look of the pool. A wide selection of colors and patterns are available to customize the liner for your outdoor space. 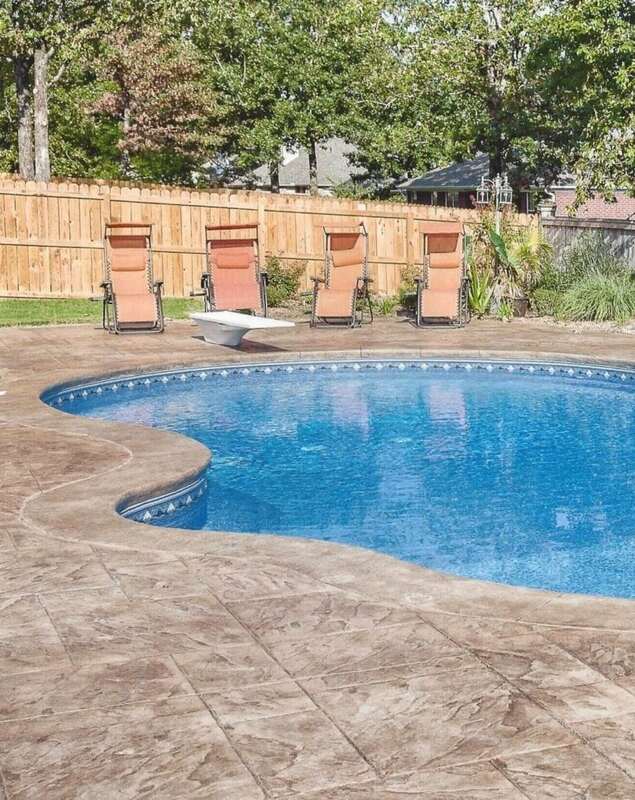 Due to pre-made material/sections used in the construction process, vinyl pools typically have a much quicker installation time than concrete (gunite) pools, which means you can dive into your swimming in just a few weeks. Moreover, because the vinyl liner is smooth and non-porous, less algae growth will occur, reducing the costs associated with pool chemicals. The materials our swimming pool contractors use to create your vinyl pool are extremely sturdy. 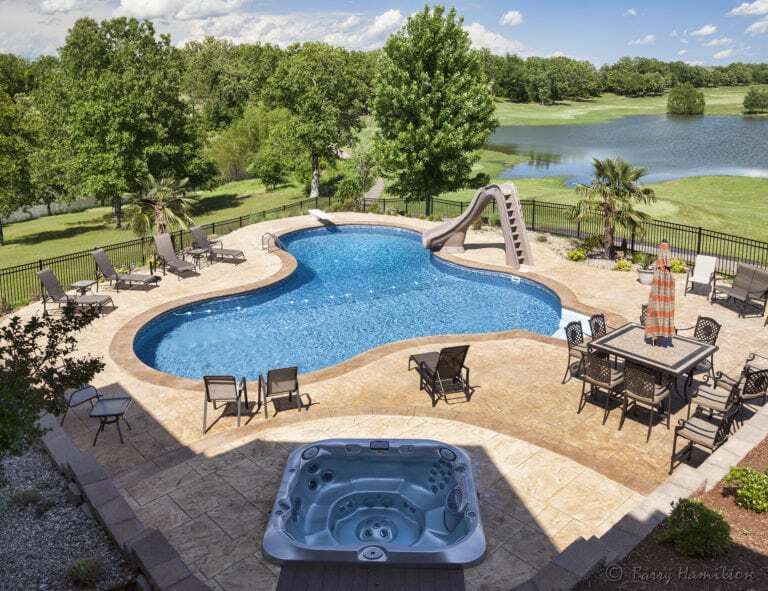 We encourage you to view the video below which showcases the durability of these pools. Withstanding extreme force and pressure, vinyl pools uphold their structure and shape. Due to varying weather elements and personal care, it is hard to predict the exact length of time that your inground swimming pool liner will last. However, 15-20 years is an average time for our liners. After a decade or so, some choose to replace the liner due to aesthetic reasons in order to create a different look. Your pool builder will work with your to choose the material you desire during the construction process, which can impact the longevity of it. When your vinyl pool is not in use, it is important to keep it covered to avoid debris. Should a section on the vinyl become damaged, patchwork can easily cover this portion and blend in seamlessly with the surrounding liner. We like to think of pool upkeep as similar to our own health. Daily maintenance and care can help to prevent large issues and maintain the look of your pool over time. However, if you start to notice decreased water levels, check the surface of the liner thoroughly to make sure that there are no cracks. Chemicals and UV rays may impact the liner over the years, which is why monitoring the structure and appearance of your pool is important. The team of maintenance technicians at Elite Pools by Aloha are committed to providing you the best service. Whenever you need assistance, we will be here to provide the highest level of care. Our team is ready to build a vinyl pool that will create endless memories for you and your loved ones. 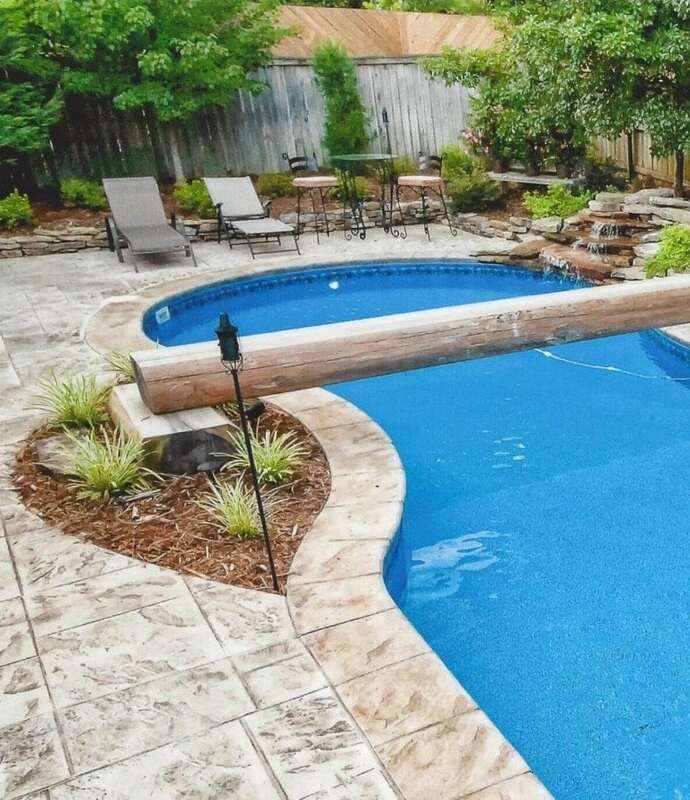 With top-notch techniques and expertise in the field, we will provide unmatched quality and design in your pool. Contact us today to discuss your inground swimming pool options or with any questions you may have regarding the process. All photos on this page were taken by Barry Hamilton.